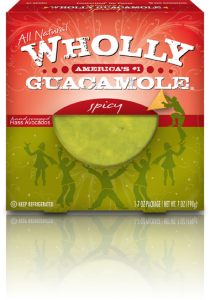 Summertime with Wholly Guacamole: Summertime Giveaway! 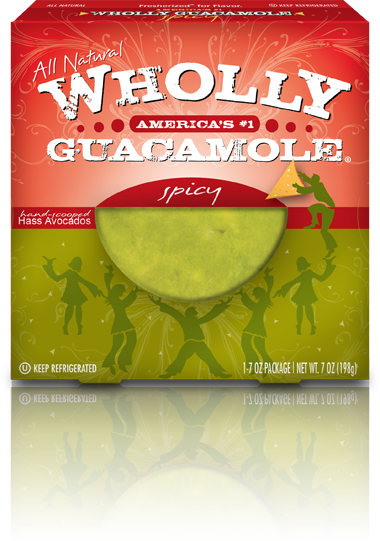 Summertime with Wholly Guacamole Summertime Giveaway! I love guacamole so I was quite excited to receive guacamole and salsa from Wholly Guacamole. They have such a variety that it was tough to select my favorite! There’s the Wholly Guacamole Classic Dip, Wholly Chunky Avocado Dip and then there are all the salsas too! The Wholly All Natural Salsa (Roasted Tomato) is a smooth mild salsa that tasted great as a dip and also was great in tacos. I have to admit I did have a favorite in the Salsas. The Red Pepper Mango Salsa was quite different and I loved it with taquitos! I am a big fan of guacamole and I just love Wholly Guacamole! I was able to narrow it down to two favorites. The Wholly Guacamole Classic Dip has such a homemade guacamole taste (it’s even better than many restaurants!) I simply was amazed at how fresh it tasted! It also stays good in the freezer for up to 3 months! Now, how cool is that?! 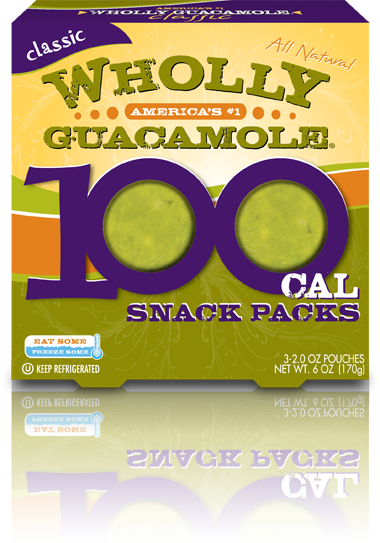 But, my two favorites are the Wholly Guacamole Spicy Dip and the 100 calorie Travel Packs. The Spicy Dip has just the right amount of spicy and the travel packs are simply delicious guacamole in 100 calorie portable sizes that are just great to pack in lunches. Pre-heat oven to 350 degrees. Cook chicken in stock for 30 minutes or until chicken is 165 degrees, then cool and shred. Mix together 2 tablespoons lime juice, lime zest and sour cream. Sauté shredded chicken with adobo sauce for 2-3 minutes, season with salt and pepper to taste. On each tortilla chip, spread 1 tablespoon of avocado, chicken and then cheese divided evenly on chips and bake in oven for 4 to 6 minutes until cheese is melted. For Pico de Gallo, mix together onions, tomatoes, jalapenos, remaining lime juice and cilantro. Serve nachos with Pico de Gallo and Lime Sour Cream on top of the nachos or on the side. You can find Wholly Guacamole at many local retailers such as Target. To find other locations, simply check out their website! 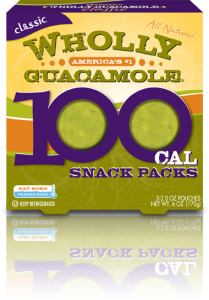 We are excited to announce that we are teaming up with Wholly Guacamole for a Giveaway! 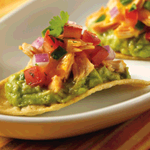 You can also receive some delicious Wholly Guacamole to try for yourself! You must be a subscriber to enter! Next, go to their Facebook page and “like” them. (You will also find a Facebook coupon there!). For an extra entry, follow them on Twitter @eatwholly. Last of all. check out their website. and then leave a comment below telling us which recipe you would try. One winner will be selected from all entries. Deadline to enter is August 17th at 12 PM. yummy! The recipe sounds good too! I want to try those nachos! I want to try the fish tacos! too many recipes..I want to try them all!